Indian renewable energy construction company PES Engineers Private Limited and the world’s most advanced single-axis tracker manufacturer, NEXTracker, have jointly announced that the two companies have entered into a 400 MW supply agreement for the Indian solar market. According to the agreement signed, both the companies will deliver and install trackers to major Indian solar projects over the next 3 years. The first shipment of the trackers will be supplied next month. “PES is delighted to be partnering with NEXTracker as a key component of our solar strategy,” said Vasudeva Prasad, Managing Director of PES. NEXTracker’s self-powered trackers will be installed, which are expected to maximise energy production in the Indian solar projects. 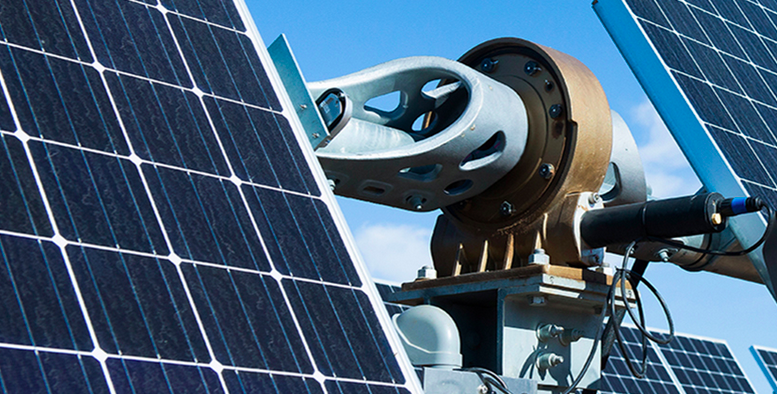 The tracker’s independent row architecture and self-powered design will enable more photovoltaics panels to be installed in a wider variety of sites in less time and with lower cost. PES also expects to benefit from the NEXTracker’s core competencies, including system design, commissioning, and O&M support. PES has a strong track record of delivering 23 GW of complex construction projects throughout India. Through this partnership, NEXTracker will get an opportunity to enter into one of the world’s emerging solar market. Over the last few months, several international module and tracker manufacturers have announced plans to partner with Indian companies to expand footprint in the Indian solar energy market as the government has planned to boost investment in the renewable energy market. The Indian solar power market is promising to be a high growth market, with the country planning to have an installed solar power capacity of 100 GW by 2022.